Mexican is just a craving for me. I don't know if it's because I love a little spicy food from time to time or if it's the fun drinks that I have to make to go with the meal. Okay, I think I just answered my own question! At least once a week it's Mexican night. I like making a big meal on these nights because Mexican makes such great leftovers. Paul's brothers help us out all the time with random projects and work around the house. I always feel like there is no way that we can pay them back, but luckily they work for food. 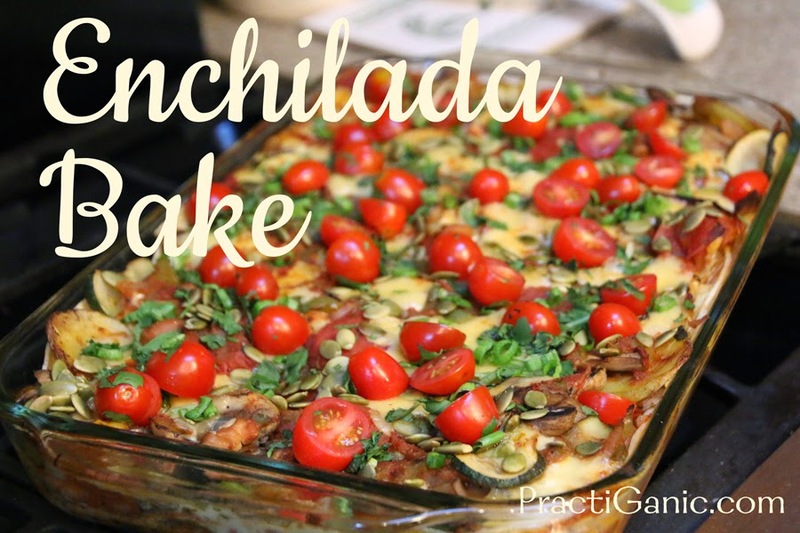 Recently, I made a big enchilada bake for them when they came for dinner. There were just four adults so I was excited that I would have my lunch set for the next day. I was feeling quite ambitious so I even made them some fresh enchilada sauce. To my surprise, the whole thing was gone! I couldn't believe it! I really liked how the bake turned out but my brother-in-laws loved it! Even though I didn't get any the next day, I was so happy that it went over well. The toppings are the big highlight for me in this bake. 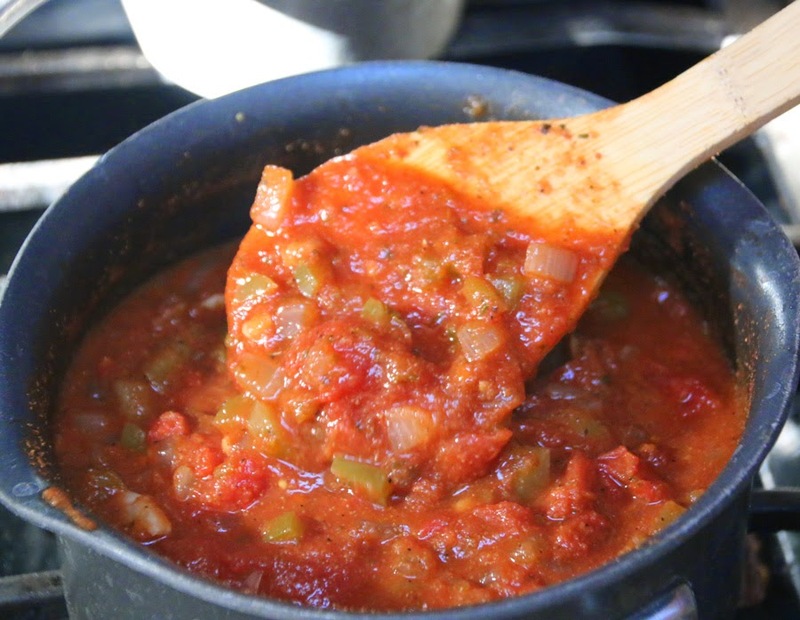 The cilantro, scallions, pepitas and fresh tomatoes really brighten up every bite so don't skip over those! Mix potatoes with first listing of salt, pepper and chili powder. Bake for 20 minutes. Set aside. Meanwhile, sauté garlic and onion for 3-4 minutes. Add mushrooms and cook down until liquid has almost evaporated. Add zucchini, pinto beans, salt and pepper and cook for another 3-4 minutes. Turn off heat. Mix in lime juice and potatoes. Time to assemble! Spray your 13x9x2 pan, first layer 1 c sauce, 6 tortillas, half of the veggies then 6 oz of cheese. Repeat ... Sauce, tortillas, veggies, sauce then cheese. Top with pepitas. Bake at 375º for 30 minutes. Top with cilantro, scallions and cherry tomatoes. Bake for 5 more minutes. Let sit for 5-10 minutes before cutting.